For best results when using the Ghost Speaker, move the phone around to receive different energies. Move it to a new position and wait a few seconds. Then move it again. 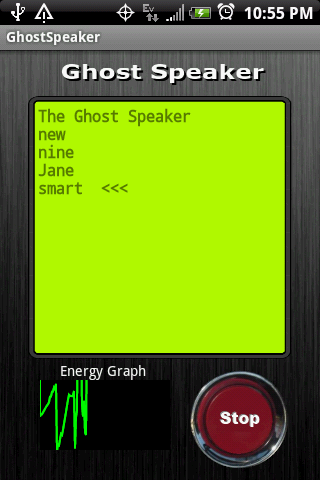 The Ghost Speaker acquires environmental readings and using a proprietary algorithm, calculates possible energy values that might be a means of communication. These are processed through the speech translation software to speak a word. This word may or may not be from a ghost, but the results are entertaining, nonetheless. Added a much larger language database. Changed algorithm to generate speech. 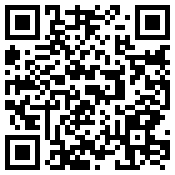 Copyright 2011 by Krugism Development LLC. All rights reserved.